Look at the pictures and describe why they remind you of spring. 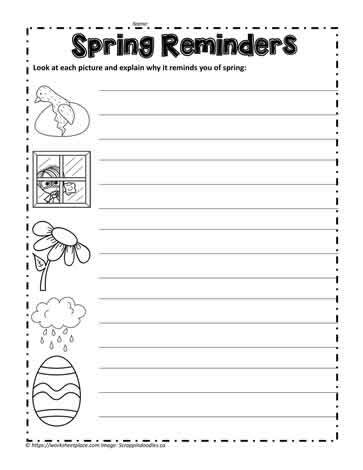 Spring worksheets for kindergarten and grade 1. Teaching ideas for spring.